We hear about tsunamis wiping towns and cities from the earth, hurricanes throwing houses and cars into the air and planes crashing into skyscrapers. We see it on the news but we never realise how it affects us. Sure these things are a few thousand kilometres away, but their effects strike closer to home than you think. All of these disasters have an effect on the economy and when the economy is affected, it takes its toll on the world. 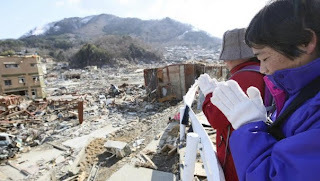 People were shocked when they heard about the 9.0 magnitude earthquake hitting Japan and even more when a massive tsunami hit Japan wiping almost every single building, car and sushi roll off the face of the earth. Disaster struck when one of the nuclear power plants’ cooling agent tower was damaged, which could have led to a nuclear meltdown. How it affected the world? Since then, 8,649 people have been declared dead and 13,262 are still missing. The estimated costs, according to the World Bank, to fully repair the damages to Japan reach a whopping 235 billion dollars. Japan is also a major exporter of vehicles which, for obvious reasons, had a drastic drop in production. The residents of Libya protested openly about Muammar Gadaffi’s reign and he made the mistake of jumping in with guns blazing everywhere. Two factions were created in the uprising, where one side supported Gadaffi and other supported a new government. 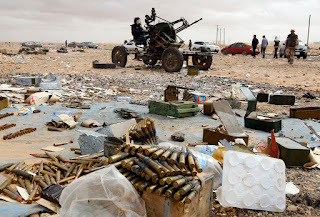 The war in Libya did not only affect its own country but it has America reaching deep into their own pockets to keep their military presence there. It’s been estimated that the war is costing them hundreds of millions of dollars. Besides hundreds, if not thousands, of people dying in the civil war, the fuel prices went up since Libya is a major exporter of fuel to all countries across the world. 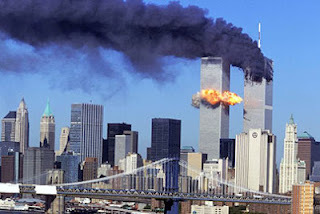 The extremist terrorist group, “The Taliban”, hijacked two commercial planes and crashed into the twin towers of America. The economy took a nosedive but is steadily climbing back to normal. When the first tower was hit the New York stock exchange was delayed and after the second tower was hit they cancelled all trading. The London stock exchange and other stock exchange companies cancelled trading and evacuated the buildings in fear of more attacks from the terrorist group. During the three days the New York exchange was closed the Federal Reserve pumped in a $100 billion dollars for three days to avert a financial crisis. The currency trading continued and the US dollar fell sharply against powerhouses such as the pound, euro and yen. Stocks fell drastically in Europe as well as across the world including countries such as Spain, Germany, Brazil, Argentina and Mexico.